St Helens Conservative Chairman John Cunliffe claims the town's MP is 'failing the people who elected her'. Marie Rimmer this week conceded that MPs may need to go back to the people over Brexit. 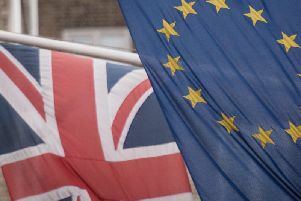 The St Helens South and Whiston MP told the Local Democracy Reporting Service a no-deal scenario and Theresa May’s deal would “damage” the country’s economy and said the public may need to be called upon to vote again if the latest amendment fails. “I don’t want it to be yes or no, in or out,” Ms Rimmer said. “None of us knew the intricacies, the complexities and the impact it would have. “Given the knowledge we have all gained, two years on, I would like an assurance from the public about which way to go. “We’re working as hard as we can to get a deal that will not damage the economy of the country. But Mr Cunlliffe hit back saying: “In the 2016 referendum more than 58 per cent of those who voted in St Helens supported Brexit. "From her comments it is clear that Marie Rimmer is failing the people who elected her.